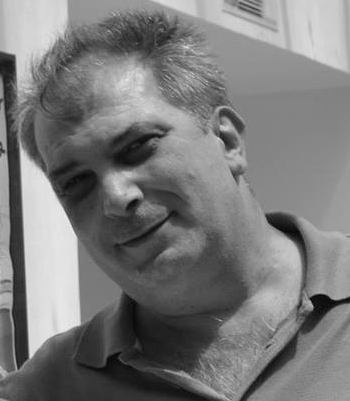 Andreas Giannakoulopoulos is Associate Professor at the department of Audio and Visual Arts of the Ionian University, where he teaches courses related to Internet Communication, New Media and the Web Technologies. He holds a BA (Ptychio) in Economics from the University of Athens (UoA), a BA (Ptychio) in Communication and Media Studies from UoA, a Master of Arts in Communication and Media Studies from UoA, and a Master of Science in Logic from the University of Amsterdam. His doctoral dissertation, approved by the University of Athens, was in the field of web accessibility. The main fields of his academic activities are computer mediated communication, web technologies and e-learning systems as means of effective communication via the web. He is a member of the Hellenic Network of Open & Distance Education and has participated in international programmes (see below) with a particular interest and experience in dissemination and communication activities. During the last few years he is particylarly interested in web applications with academic and artistic content. Soulis, Konstantinos, Varlamis, Iraklis, Giannakoulopoulos, Andreas & Filippos Charatsev (2013) ‘A tool for the visualization of public opinion’, International Journal of Electronic Governance (IJEG), Vol. 6 No. 3, 2013, pp. 218 - 231, Inderscience Publishers, 2013. DOI: 10.1504/IJEG.2013.058404. Kodellas, S., Papastavrou, N., Giannakoulopoulos, A. & Koutsompolis, D. (2013), 'Journalists’ victimization experiences and fear of crime at work: Results of a questionnaire survey from Greece and Cyprus', European Journal of Communication (EJC), August 2014 vol. 29 no. 4, pp. 480-494, Sage Publications. DOI: 10.1177/0267323114531505. Γιαννακουλόπουλος, Ανδρέας, Από τη Διάδραση στη Συμμετοχή: Σχολιάζοντας τους Προσδιοριστικούς Παράγοντες των Νέων Μέσων, Ζητήματα Επικοινωνίας 18-19 (2014). Kostarikas, Ι., Konstantinou, N., Varlamis, I. & Giannakoulopoulos, Α., (2013) ‘Challenges from implementing Blended Learning in a 3D Multiuser Virtual Environment’, eLearning papers ‘Learning in cyber-physical worlds’, no 39, July 2014, pp 3-11, ISSN: 1887-1542 (2014). Drossos, K., Floros, A., Giannakoulopoulos, A. and Kanellopoulos, N. (2014) 'Investigating the Impact of Sound Angular Position on the Listener Affective State', IEEE Transactions on Affective Computing, vol. 6, no. 1, January-March 2015, pp27-42, DOI: 10.1109/TAFFC.2015.2392768. Drossos, Konstantinos, Giannakoulopoulos, Andreas & Floros, Andreas (2012) “Διαδικτυακή πλατφόρμα εκτίμησης συναισθημάτων από ηχητικά δεδομένα”, in Proceedings of the 6th International Conference ACOUSTICS 2012, October, 2012, Corfu, Greece, pp 250-259. Giannakoulopoulos, Andreas, Oikonomou, Stefania & Varlamis, Iraklis (2012) "Photo Sharing and Privacy on Facebook", in Proceedingsof the 8th "Colloque International Enjeux et Usages des TIC" (EUTIC 2012), October 2012, Metz, France, pp. 47-56. Deliyannis, Ioannis, Giannakoulopoulos, Andreas & Oikonomidou, Roubini (2013) "Engineering and Design Issues in Urban-oriented Edutainment Systems", in Proceedingsof the 2013 Hybrid City Conference, May 2013, Athens, Greece, pp. 37-42. Limniati, Laida, Giannakoulopoulos, Andreas, Oikonomidou, Roubini & Meimaris, Michalis (2013) "Usability and Social Media: The Cases of Facebook and Google Plus", in Proceedings of the 9th "Colloque International Enjeux et Usages des TIC" (EUTIC 2013), October 2013, Waterford, Ireland. Drossos, K., Floros, A., and Giannakoulopoulos, A. (2014) ‘BEADS: A Dataset of Binaural Emotionally Annotated Digital Sounds’ In Proceedings of the 5th International Conference on Information, Intelligence, Systems and Applications (IISA 2014), Chania, Crete, Greece, July 7-9, 2014. Γιαννακουλόπουλος, Ανδρέας (2011). “Τυποποίηση και Ανάπτυξη Διαδικτυακών Τόπων”, στο Αποστολάκης, Ιωάννης (επιμ. ), Συνεργατικό Διαδίκτυο και Κοινωνία, Αθήνα: Παπαζήσης, σσ. 73-106. • Giannakoulopoulos, Andreas, Varlamis, Iraklis & Kouloglou, Stelios (2012) "Technology and Journalism: Conflict and Convergence at the Production Level". In E. Siapera, A. Veglis (eds), "The handbook of global online journalism", Malden, MA: Wiley-Blackwell, 2012, pp. 290-308. Bottis, Maria, & Giannakoulopoulos, Andreas (2013), Honorary Volume for Evi Laskari, Proceedings of the 5th International Conference on Information Law ICIL 2012 - Equity, Integrity & Beauty in Information Law & Ethics, pp. 1-898, Nomiki BiBliothiki, Athens, Greece. Μπότη, Μαρία, & Γιαννακουλόπουλος, Ανδρέας (2013), Πρακτικά Διεπιστημονικού Συνεδρίου «Ιστορία της Πληροφορίας: Σημεία αναφοράς από τον πάπυρο στο ηλεκτρονικό έγγραφο», Μάιος 2013, σσ. 1-680, Νομική Βιβλιοθήκη, Αθήνα (2014).